When you join IASIS, you become part of a team that is committed to caring. Our goal is to approach every situation and every patient with a caring heart. 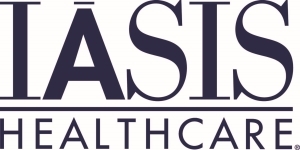 IASIS Healthcare owns and operates 5 acute care hospitals in Utah: Jordan Valley Medical Center located in West Jordan, Jordan Valley Medical Center – West Valley Campus located in West Valley, Davis Hospital and Medical Center located in Layton, Salt Lake Regional Medical Center located in Salt Lake City, and Mountain Point Medical Center located in Lehi. We utilize advanced systems and technology, such as robotic surgical equipment and electronic record keeping systems, to administer the highest level of care. If you are a highly motivated and compassionate person who wants to improve the quality of life for the individuals and communities you serve, we encourage you to join the IASIS team.